Jul 07, 2008 in "Candlelight Processional"
Candlelight Processional at Epcot – A heartfelt holiday tradition led by a mass choir and 50-piece live orchestra showcases the reason for the season Nov. 28-Dec. 30. 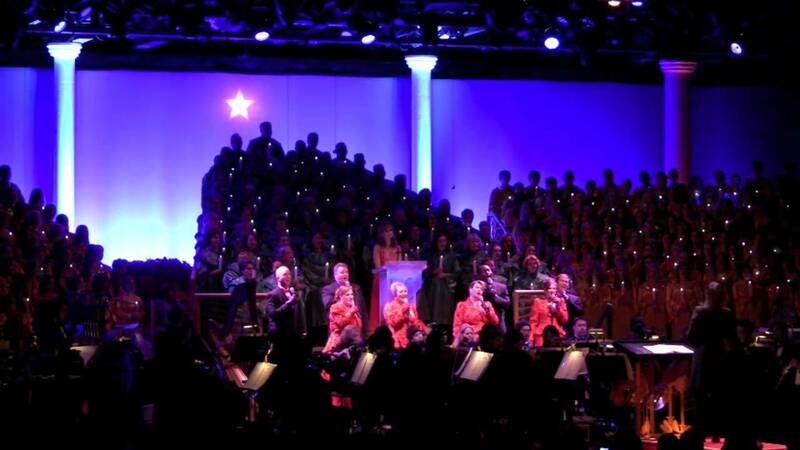 Staged at America Gardens Theatre at 5, 6:45 and 8 p.m., Candlelight Processional features a celebrity narrator who retells the joyous Christmas story. The narration is interspersed with memorable music. Performances are included with Epcot admission. Special dining packages that include preferred seating for this beloved event also are offered by calling 407/WDW-DINE.